VerticalResponse Inc. offers small businesses and non-profits a full range of powerful self-service marketing tools, including email marketing, social media, post card marketing, surveying and event marketing. VerticalResponse helps its users proactively strategize successful campaigns, providing a series of free webinars covering introductory and advanced topics. 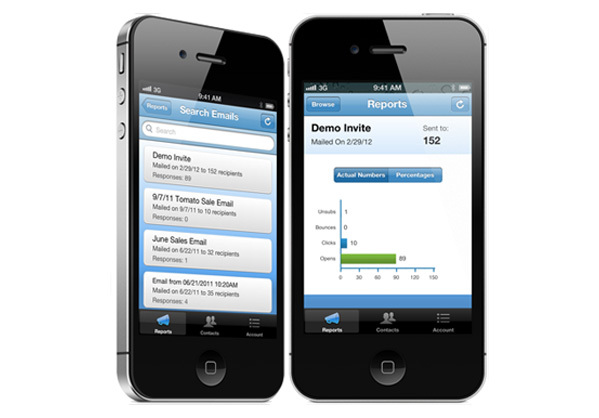 As a fast growing industry leader, VerticalResponse now serves more than 850,000 users worldwide. VerticalResponse has created an intuitive interface that’s incredibly easy to use. 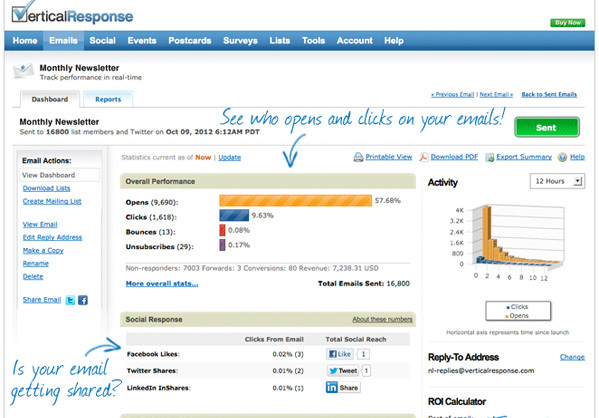 If you already have a list of email contacts, uploading them into VerticalResponse is a cinch. Simply upload addresses in a CSV file created in Excel, or import contacts from web-based email services such as Gmail, Hotmail or Yahoo mail. Once you’re ready to start a campaign, use the Email Wizard to choose from a selection of templates catering to a wide range of businesses and organizations. Spell checkers are available in 17 languages and 4 versions of English. Once you’re ready to send your email, you can easily schedule it to go out at a time of your choosing. VerticalResponse provides a few tracking tools for addresses that bounce emails as well as those that opt out of receiving future emails. You can also integrate Google Analytics with your emails to monitor inbound traffic and page views from your website visitors. Click-To-Conversion tracking lets marketers see which subscribers went to the site and which ones purchased or downloaded anything once they got there. You can easily create drip marketing campaigns, which send timed emails that help you continuously promote a product or service. Marketers can readily employ these types of campaigns when signing up for VerticalResponse’s unlimited email subscription option. 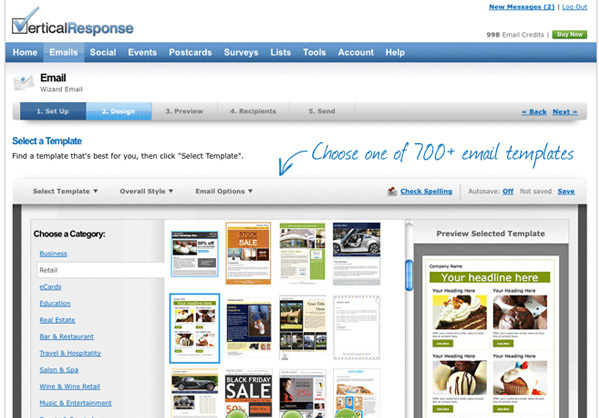 VerticalResponse users can choose one of four email creation editors. 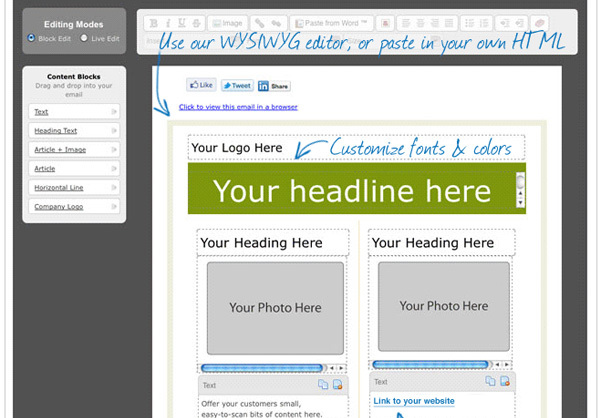 The Email Canvas is a WYSIWYG editor that lets users create from scratch or utilize a template. Background colors and elements can be readily customized, and images can be uploaded from your computer, your VerticalResponse Library or another a URL. VerticalResponse offers 75,000 royalty-free stock images from Photos.com. Emails created with templates or customized designs are sent in multipart MIME format, meaning those who do not accept HTML emails will receive a plain text email instead. With its library of more than 50 video tutorials, VerticalResponse seems committed to teaching its users how to create effective email campaigns. Additionally, customer support can field your questions via live chat or email 7 days a week, from 6 a.m. to 5 p.m. PT, or by phone Monday through Friday from 6 a.m. to 5 p.m. PT. By providing a 30-day free trial for new users, VerticalResponse confidently vies for your long-term patronage. If you’re looking for a cost-effective email marketing service that wants to help you grow, then this may be the right company for you.